Yippee!! 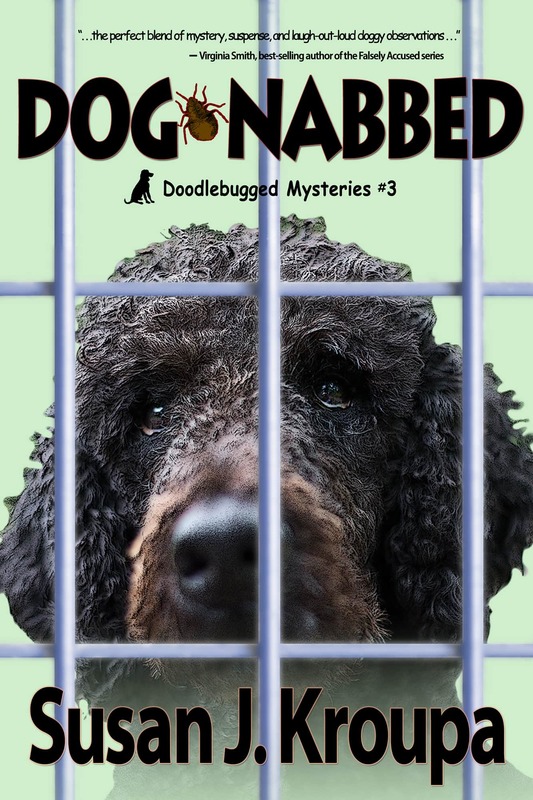 Dog-Nabbed, the third book in the Doodlebugged Mysteries series is now available in paperback and ebook editions. And to celebrate, Laurel Fork Press is giving away five free copies of Bed-Bugged, the first book in the series, over on Goodreads. Enter the Goodreads Giveaway here. Get Dog-Nabbed on Amazon, Nook, or Smashwords. See what readers are saying about the Doodlebugged mysteries! “. . .warmhearted and funny but never superficial. . .I haven’t met a fictional character in a long time that I enjoyed melding my mind with as much as Doodle.” Mary Jo Rabe, Amazon.com review of Out-Sniffed.